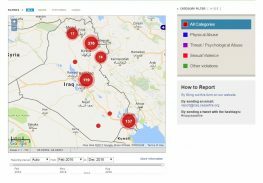 As Iraq continues to struggle with armed conflict and a protracted humanitarian crisis, Minority Rights Group International (MRG) and the Ceasefire Centre for Civilian Rights have launched a new online reporting tool to empower local civilians to monitor and document human rights violations. The impetus for the development of the online tool comes from the recognition that many violations in war go unreported and victims often have limited access to reporting avenues. In insecure settings such as Iraq, the ability of traditional monitors to conduct fact-finding missions is restricted. As a result, many abuses, including torture, killings and sexual violence, are left undocumented. 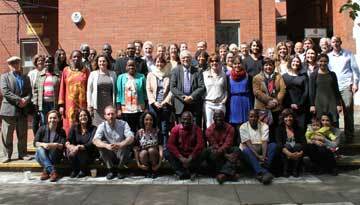 To help rectify this situation, MRG and Ceasefire have been working to support Iraqi civil society to take an active and primary role in reporting violations of international humanitarian law and human rights, thereby promoting the emergence of ‘civilian-led monitoring’ as a credible method of data collection during conflict. The online tool is a central component of this strategy. ‘Civilians in Mosul, Baghdad and Anbar are on the frontlines of what is happening in Iraq. Technological advances now mean that they can report violations in a way that is secure and, crucially, can be verified. The Ceasefire reporting tool can help us to get a better picture of violations, including of women’s rights, that have been under-reported,’ says Mark Lattimer, MRG’s Executive Director. The online tool is a secure and anonymous platform that uses crowd-sourcing technology, including live mapping and social media data mining, to enable real-time reporting on violations in a format compatible with international legal standards. Reports submitted are stripped of any personal identifying information and plotted onto a live map showing the distribution of violations by location and type. The tool supports reporting both English and Arabic, and is the culmination of over two years of technological development done through a Knowledge Transfer Partnership with Essex University, funded by Innovate UK, the European Union, and the government of Canada. The tool will build on the crucial monitoring work already being performed by civilian human rights monitors, helping to make such information available in a more systematic, accessible and secure way, say MRG and Ceasefire. Data submitted on the website will be used to create a more accurate and up-to-date picture of the situation in Iraq, motivate a more effective national and international response, and strengthen calls for accountability. In the longer term, MRG and Ceasefire envision that the civilian-led monitoring model could have wider applicability outside Iraq, and could help to produce much-needed data about violations in other armed conflict or failed state settings.